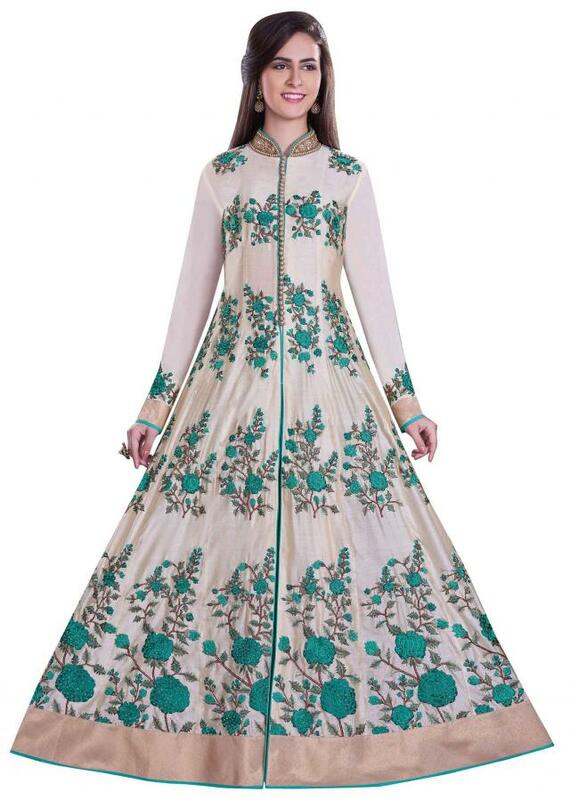 Cream anarkali suit featuring in chanderi silk. Its embellished in green resham embroidery in floral motif. 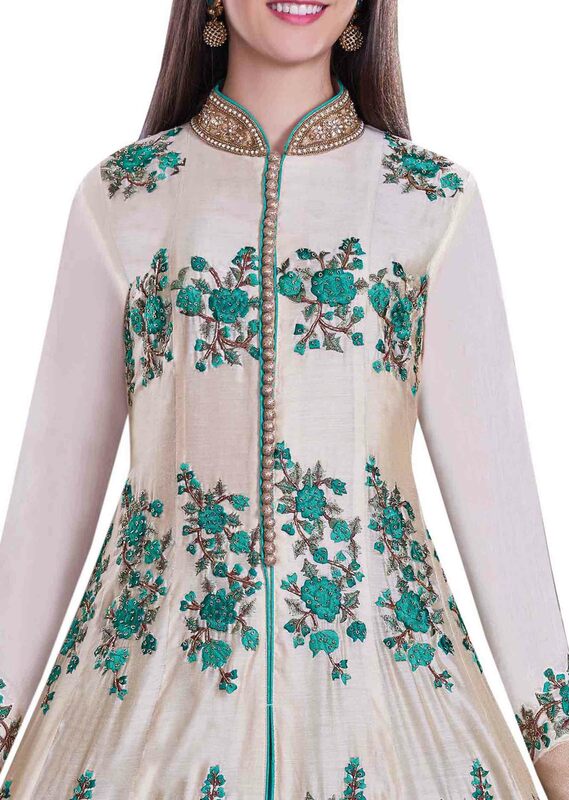 Matched with chiffon dupatta and unstitched bottom fabric.